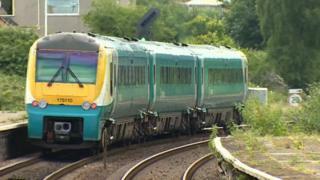 A train line in south Wales has reopened after disruption on Thursday. All lines towards Bridgend were blocked on Thursday after an "operational incident" - leading to lengthy delays and cancellations. Passengers headed west of Cardiff were told that the disruption could last until Friday morning, but the line later reopened at about 23:00 BST. A similar fault near Pontypridd station caused delays for commuters on Wednesday.